What a thrill it was for me to launch MEET MISS FANCY at Avondale Library, which sits right next door to the park where Miss Fancy actually lived! And wow, talk about some amazing librarians. I am so grateful to Carla Perkins and Cassandra Scott (aka Ms. Cass) and everyone else who helped make it a lovely time. There were elephant shaped tea cakes and peanuts and lemonade... and a giant Miss Fancy cut-out on the wall! They've been celebrating Miss Fancy all month, and I am now the proud owner of a Miss Fancy t-shirt, made at the library (thank you, Ms. Cass!!). I can't wait to wear it. I will share pics when I do. 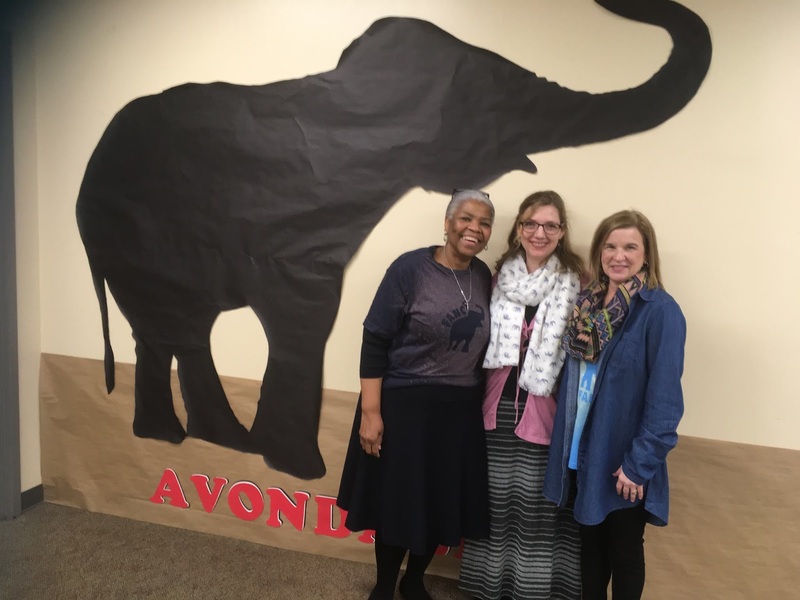 :) THANK YOU, Avondale Library! 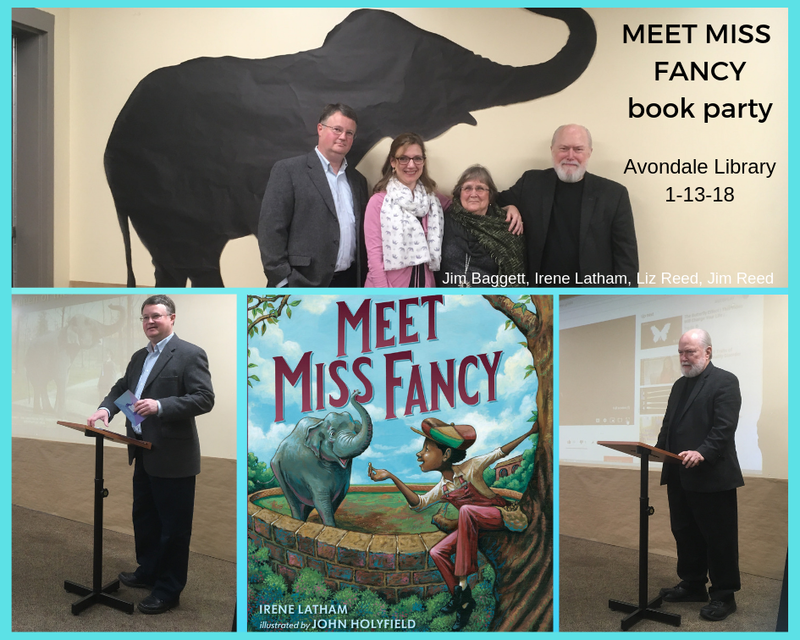 Jim Baggett, the archivist who knows everything there is to know about Miss Fancy and who was essential to my writing process for this book, was there to share slides and stories about Miss Fancy. 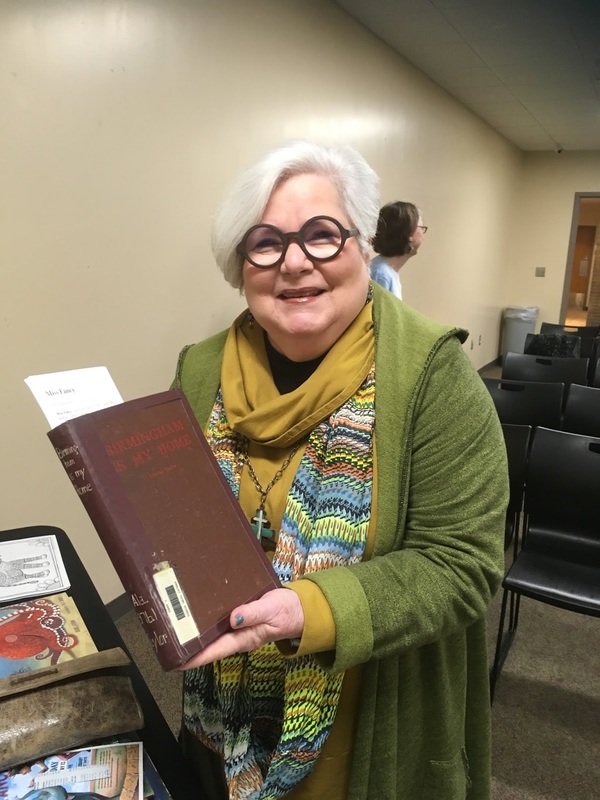 Martha Council, who is in charge of the campaign to Save the Queen by erecting a life size sculpture of her at Avondale Park, shared a little about her group's efforts. More on this soon! Jim and Liz Reed were there, too, for moral support (as ever), and to share about the making of the short (10 minute) documentary film about Miss Fancy, which features residents sharing stories about their experiences with Miss Fancy, or the stories shared with them by older family members. So many thanks to the friends who showed up, from both near and far... Diane, Linda, Joan, Jo, Tay, Marie (who sold books!)... and new friends, too! Your support and enthusiasm means so much! Thank you!